Why are graveyards so noisy? Because of the coffin! That’s all we got folks! We’re so excited to share one of our favorite crafts of the season. 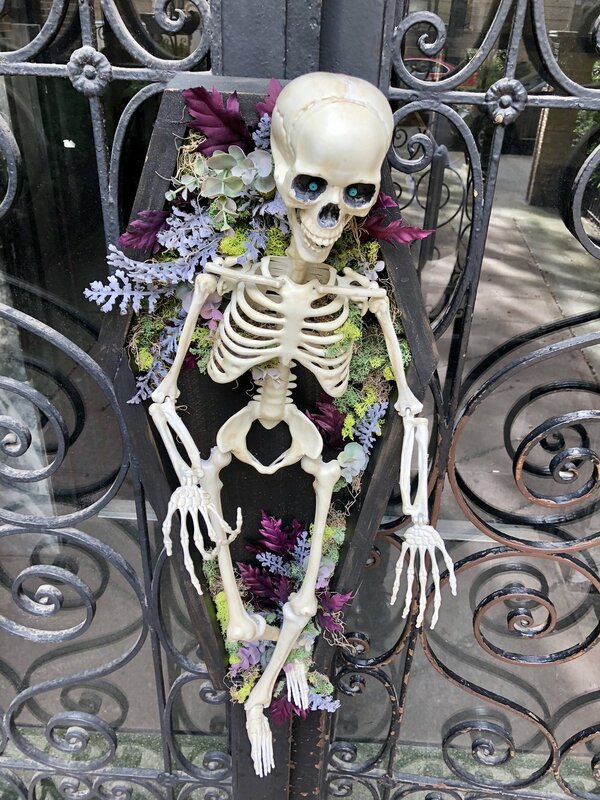 This guy is on our door waiting to great guests as he lounges in his own coffin. Making the coffin ended up being a bit of trial and error on our end, but we figured out something that worked best for the space we have! Ideally we would have loved to make the coffin out of wood, but we don’t have the right tools in our one bedroom apartment. We tried making the coffin out of cardboard, but it didn’t have the impact we wanted. Insulation foam ended up saving the dead…we mean day. Check out how it all came together on our HGTV Handmade tutorial!